Vineyard San Pedro was recently chosen as the New World Winery. A performance recognition it has achieved in its various markets, where it has stood out for its dynamism, innovation and winemaking excellence. This award reaffirms the importance it has acquired Vineyard San Pedro on the world wine stage, confirming Chile as a powerful and diverse producer New World, renowned for delivering outstanding quality in a wide range of prices. Vineyard San Pedro has a presence in more than 80 markets on five continents. 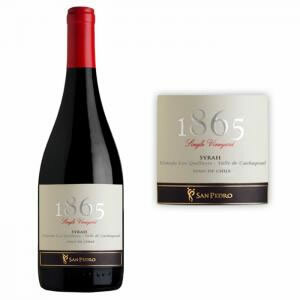 Founded in 1865, Viña San Pedro is today one of the oldest and largest exporters of Chilean wine and one of the most important wineries in the country. The main vineyard, the cellar and the underground cellar centennial of San Pedro are located in Molina, in the Curico Valley, 200 km. South of Santiago. 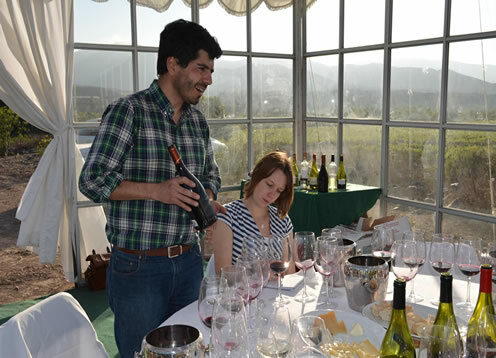 Here, San Pedro has one of the most extensive vineyard cloths in Latin America, with 1,200 hectares. Meanwhile, San Pedro has more than 1,500 hectares planted in the Central Valley and other major wine valleys of Chile, such as Elqui, Casablanca, San Antonio-Leyda, Maipo, Cachapoal, Maule and Bio-Bio, always looking for new and better sources for its wines. Viña San Pedro is part of the winemaking group called VSPT Wine Group, the third largest wine group in Chile and the second largest exporter of Chilean wine. Its portfolio includes brands Cape Horn, Kankana Elqui, Mansions Lands, 1865 Single Vineyard, 1865 Limited Edition, Castillo de Molina, 35 South and GatoNegro, enjoying a vibrant success in the most competitive markets. 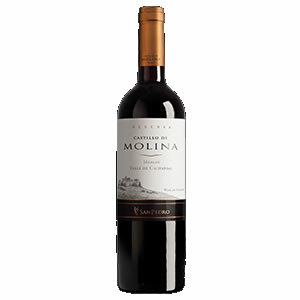 Description:	Castillo de Molina was the first line of Reserva de San Pedro wines and has reached a recognized position worldwide, among the best Chilean wines in that segment. Description:	Today it is part of an exclusive group of the five ultra premium wines of Viña San Pedro, called Grandes Vinos de San Pedro. 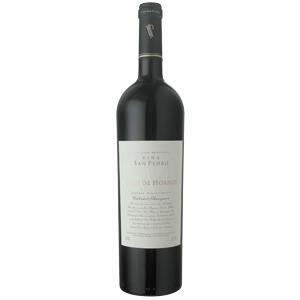 Description:	Very dense and concentrated, with tannins present and at the same time mature. It also has a very good balance between tannins, acidity and wood.